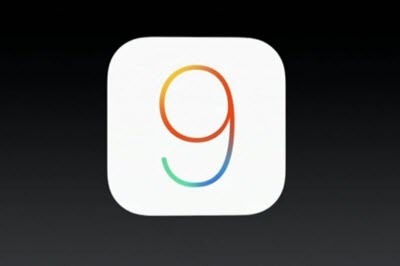 iOS 9 has been officially out with a range of enhancements today. The latest version of Apple’s mobile operating system iOS 9 is finally out, which is full of enhancements which will change your life for better while keeping its promises to take much less space than previous editions. The new iOS 9 is only 1.4 gigabytes, saves two thirds of iDevice storage space. In addition, the new multitasking feature, the more proactive Siri, and the improvement in battery life give iOS users a lot of surprise. The more you do with iOS 9, the more you’ll wonder how you ever did without it. Now let’s dive deeper in to the outstanding new features of iOS 9. The low power mode asks at 20 percent and again at 10, and then turns itself back off automatically once you’re charged up to 80 percent. And you can still use almost all the functions of your phone: Wi-Fi, Bluetooth, Location Services, GPS, everything. The screen goes to sleep a little quicker than before. With the multitasking feature, you can make even better use of its large screen to do two of those things — at the same time. You can open a second app without leaving the one you’re in IN three kinds of mode, including the slide over view, the split view and the picture in picture view. In addition to transit directions, Maps gets Nearby suggestions for local businesses. Instead of typing “Bakeries,” you can now just tap the Food icon, followed by the Bakeries option to get a list of nearby places where you can get your croissant fix. You can also get suggestions for Shopping, Travel and other Services, like pet grooming. Siri becomes more intelligent and you can ask Siri to search through photos and videos according to dates, locations, and album, it can even define your selfies as an independent album. Also it can remind you about things you’re looking at in your apps — like Safari, Mail, and Notes — and want to follow up on later. This is completely new app comes alongside with iOS 9. Featuring secure wireless transfer, Move to iOS allows Android-totting fans to transfer their contacts, message history, camera photos and videos, web bookmarks, mail accounts, and calendars to iPhone, iPad or iPod Touch. It rebuild your app library, too. Any free apps you used — like Facebook and Twitter — are suggested for download from the App Store. And your paid apps are added to your iTunes Wish List.